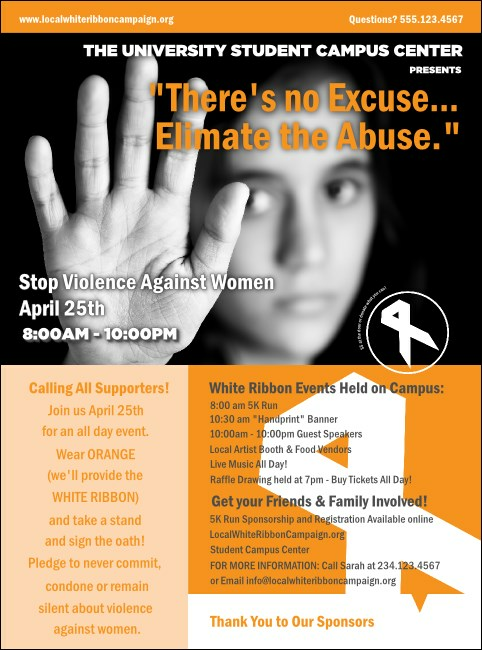 Creating a lasting impression for this important cause with the White Ribbon Photo Flyer. Featuring bold orange colors and a strong black and white image, promoting the work to stop violence against women. With over 30 lines for text, you have plenty of room for all your event information. TicketPrinting.com has all the promotional materials you need for your non-profit event.